1. 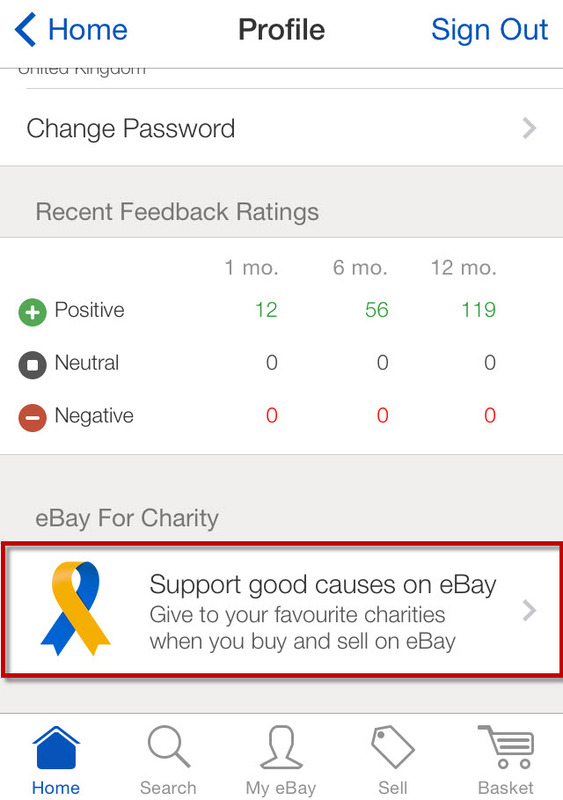 Touch your user ID on the homescreen then touch “Support good causes on eBay” under your Feedback Ratings. 2. 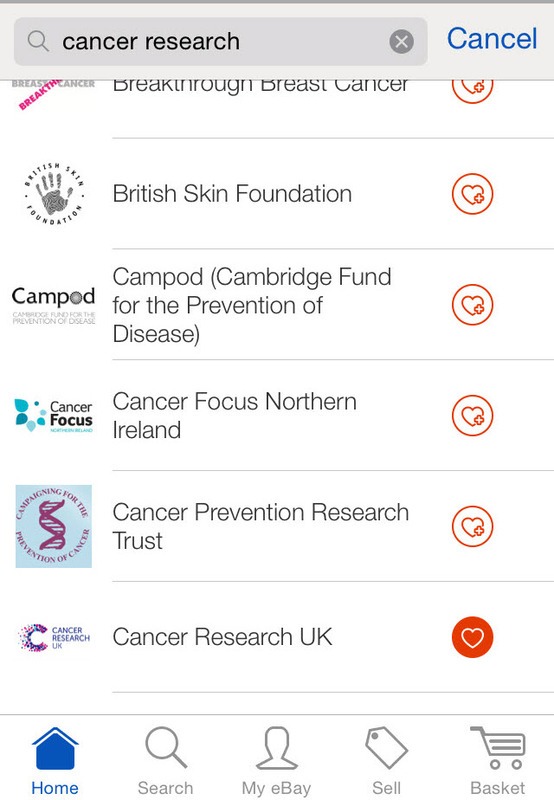 Choose your favourite charities using the search box, then touch the heart icon to make it a favourite. 3. 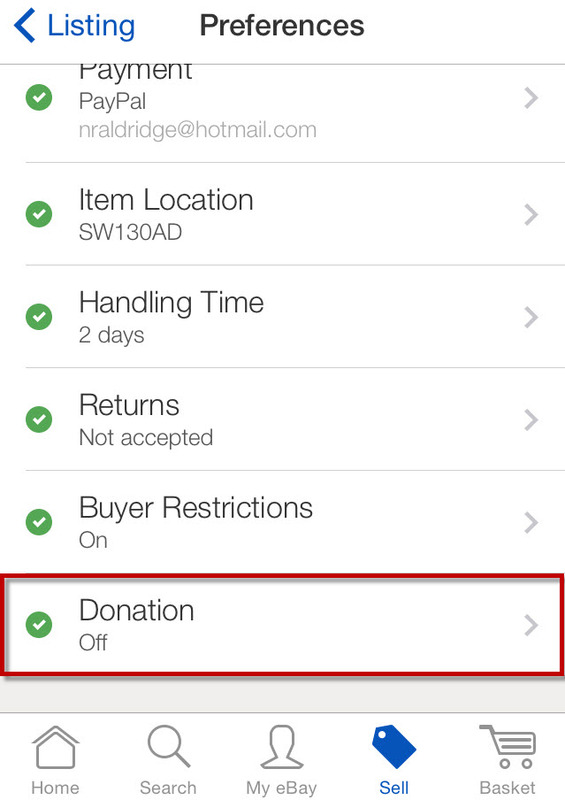 When creating a listing, touch “Donation” under “Preferences”. 4. 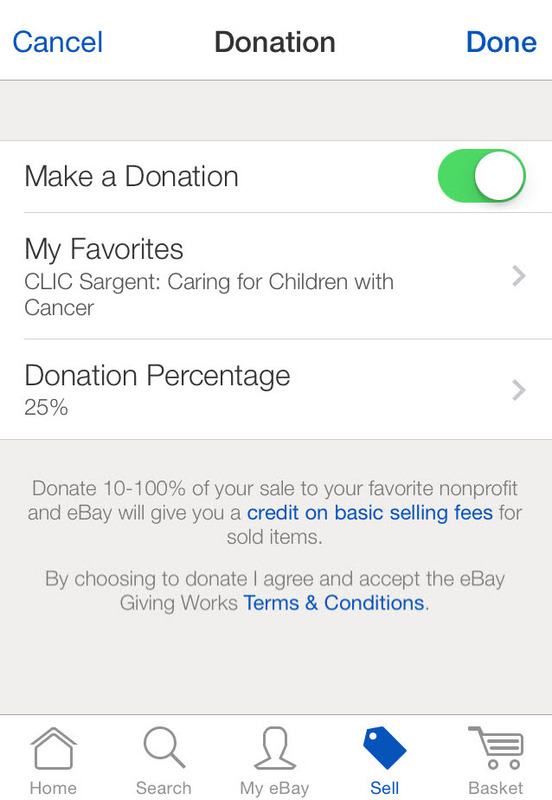 Set “Make a Donation” on, and confirm your charity and the percentage you’d like to donate if your item sells. After your item sells, PayPal Giving Fund will collect your donation and pass it on to your chosen charity. You’ll also receive a fee credit on your basic insertion and final value fees, matching the percentage you donate.